Fast forward to 2017, and electronic banking has become part of millions of people’s routines, as paying bills online and depositing checks using an iPhone or Android device have become commonplace. 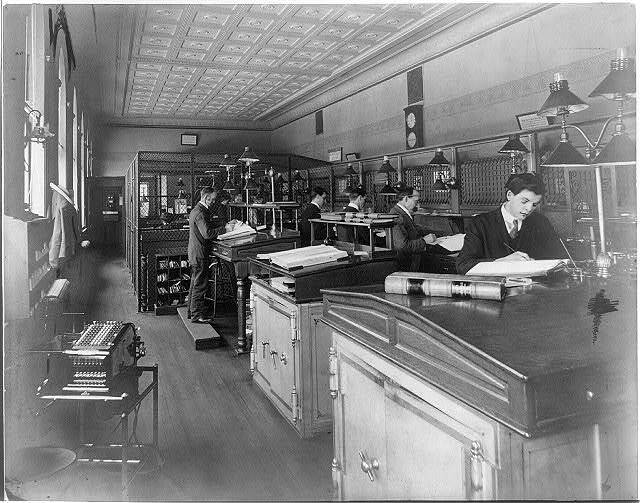 And yet a brief look at the history of banking highlights how the industry’s foundation hasn’t really changed: People want to keep their money somewhere safe and accessible. The ways in which people interact with their banks and deposits, however, have changed radically. Some of the earliest forms of banking date back to Mesopotamia, where people stored grain, precious metals, weapons and other items in palaces and temples, which were relatively secure. At least one thing still holds true: Most people still prefer to keep their valuables — their hard-earned cash, nowadays, rather than battle-axes — somewhere safe. Bank accounts were first used in Europe during the Middle Ages, and the British brought commercial banking to the American colonies. 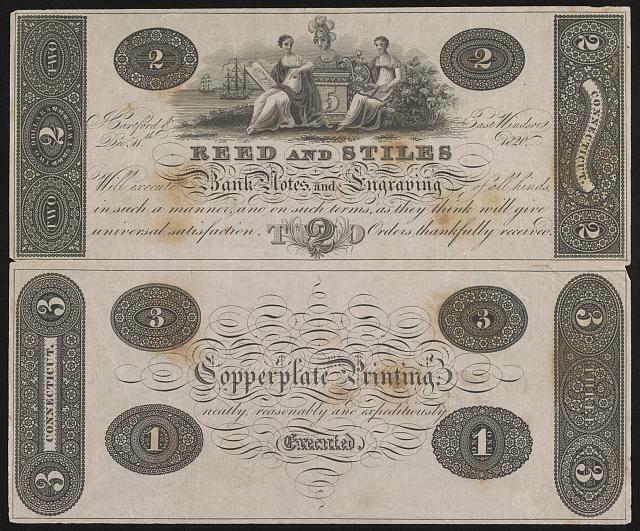 During the Civil War, the U.S. government levied a tax on banknotes, which promoted the use of checks. These days, of course, knowing how to write a check isn’t quite as crucial. 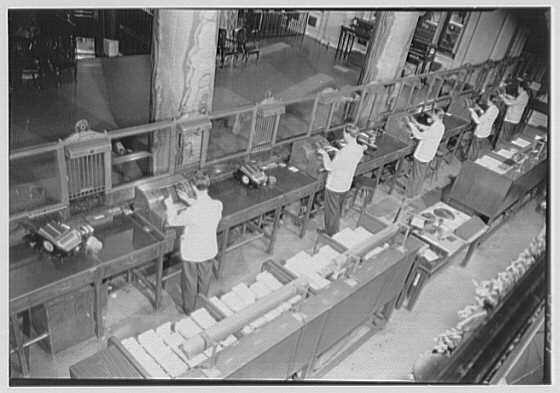 In the aftermath of the Great Depression, the government introduced new regulations to restore confidence in the country’s banking system. 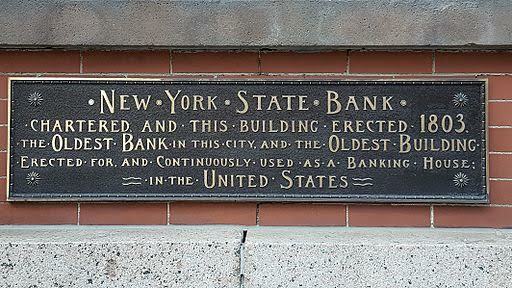 In 1933, it created the Federal Deposit Insurance Corp., which, in 1934, insured deposits up to $5,000 per owner. That number has since ballooned to $250,000 per depositor, per institution and per ownership category. By 1937, cash and U.S. government securities were responsible for more than half of banks’ assets, which was more than double the proportion held in 1929, according to the FDIC. Before checking accounts and savings accounts were a couple of clicks or swipes away, customers had to visit branches to access their funds. While that fact may not make your jaw drop, the rates people had access to just might: In 1957, people could earn 3% interest. By 1986, some passbook savings accounts paid over 5%. These days, locking in just 1% interest from a high-yield savings account can feel like a minor miracle. The number of savings and loan associations, which typically offered high savings rates, grew in the mid-20th century, thereby increasing the competition among these institutions. Customers had more and more options, and so had to be won over. This led to a revolution that changed the way banks looked and felt. A story in a 1960 issue of Life magazine gushed over “glass-and-metal palaces” that replaced “ancient marble mausoleums”; one institution even featured a drive-in window “with an elevated ramp to accommodate low-slung sports cars.” But keeping customers happy — and attracting new ones — didn’t end there. New customers received prizes when they opened new accounts — if you walked into a bank with a deposit in those days, you might leave with a toaster or an electric wall clock. The tradition lives on in rewards checking accounts, which can land people airline mileage, reward points, cash, and in at least one case, ski-lift tickets. A game-changing moment arrived on Sept. 2, 1969: The first U.S. automated teller machine, or ATM, was installed at Chemical Bank in Rockville Center, New York. Customers were no longer constrained by bank hours and locations when they wanted access to their money. Decades later, the internet, along with advances in online security, enabled online and mobile banking. In recent years, online-only banks have started to flourish. These institutions offer some of the best checking accounts on the market, along with the highest annual percentage yields and lowest fees. Why? For one, they don’t have to spend money on maintaining and staffing thousands of branches. Although face-to-face interaction is limited, online bank customers can still reach out for help online, over the phone or on social media. But don’t write off brick-and-mortar banks and branches just yet: In a 2016 study from the consulting firm Bain & Company, 92% of respondents over the age of 65 and 84% of people aged 18 to 24 said they had visited a teller at least once in the previous quarter. The fact that people still visit branches has put pressure on banks to optimize this experience for customers and to provide the best service possible. This may explain the modern look and feel of certain banks’ branches, not to mention the coffee and free Wi-Fi. Cutting-edge technology will continue to reshape the modern banking experience. Video tellers have grown in popularity, and it may not be long until your next customer-service representative is a banking chatbot. Getting cash from an ATM doesn’t always require plastic now, and many mobile apps let people access their accounts via fingerprint — no password required. Soon, you might be able to log on to your account just by looking at your phone. And one overseas bank even sets some of its savings rates based on how many Facebook “likes” it has. But no matter how futuristic the banking experience becomes, it’s hard to imagine we’ll abandon basic checking and savings accounts. Half a century from now, consumers will still need a place to store their income. Separating spending money from savings will, in all likelihood, still be considered a good idea. How people access, manage and move that money, however, is bound to evolve in ways few of us can imagine. 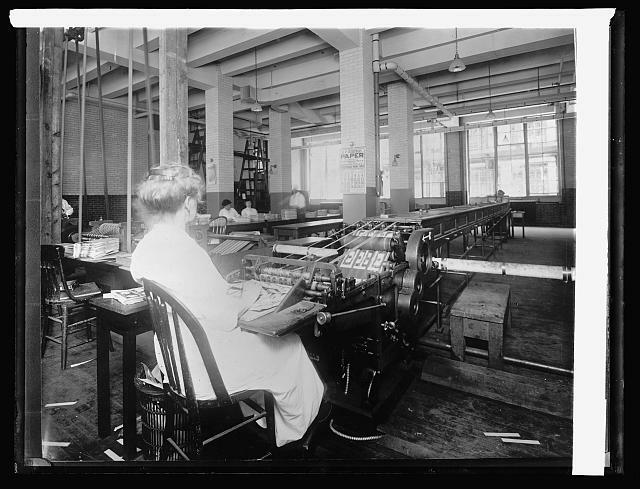 Top photo: Women at the teller’s window, Fifth Avenue Bank, New York, 1900; in photo gallery, clockwise from top left: a plaque for the New York State Bank, built in 1803; the bookkeepers and tellers department, First National Bank of Somerville, New Jersey, 1908 (Library of Congress); a check from George Washington Bank dated Feb. 20, 1869; an advertisement for bank notes: “Reed and Stiles will execute bank notes and engraving of all kinds, in such a manner, and on such terms, as they think will give universal satisfaction,” circa 1820 (Library of Congress); “Mrs. Brown,” in the Office of the U.S. Treasurer, an “expert in identifying burned and mutilated paper money received for redemption,” 1914 (Library of Congress); tellers at New York’s Bowery Savings Bank, 1941 (Library of Congress).